What inventory management techniques can I choose from? This technique’s objective is to get rid of the oldest SKUs in stock, i.e., those at the front of your storage channels or racks. Ease to apply, this method lets you handle, organise and assign priority to the flow of goods and materials. The Last In, First Out method means extracting your most recently stocked items, i.e., those which have arrived last. Like the FIFO method, this contributes to better, more coherent and streamlined product flows. This model, also called the EOQ method, is particularly suited to organizations that only manage a small amount of daily orders. In other words, for small and medium-sized businesses. Companies order their raw materials and goods at certain times of the year.This technique is the simplest to implement, but entails making orders at regular intervals. This sorting method puts goods into three categories: A, B and C.
The most important products are in the A category and represent the highest annual consumption value.Keep in mind that these items must undergo rigorous stock control and be stored in areas with special ambient storage conditions. It is fundamental to replenish this type of stock regularly to prevent incidents caused by stockouts. Products in category B are considered «intermediate», i.e., they have an average consumption value. How goods are slotted between categories A and C is a crucial step to have under control so that these goods don’t get wrongly assigned to higher or lower categories. Products in category C are the least important, i.e., they represent the lowest annual consumption value. For this reason replenishment is less frequent. Generally, companies don’t store more than one item from this class and replenish it only when it is out of stock. Know that there are other inventory management methods. However, before choosing a technique, it is crucial to have a series of factors in mind, such as order volumes, your storage capacity, your warehouse’s design, your annual forecasts, annual consumption values, etc. 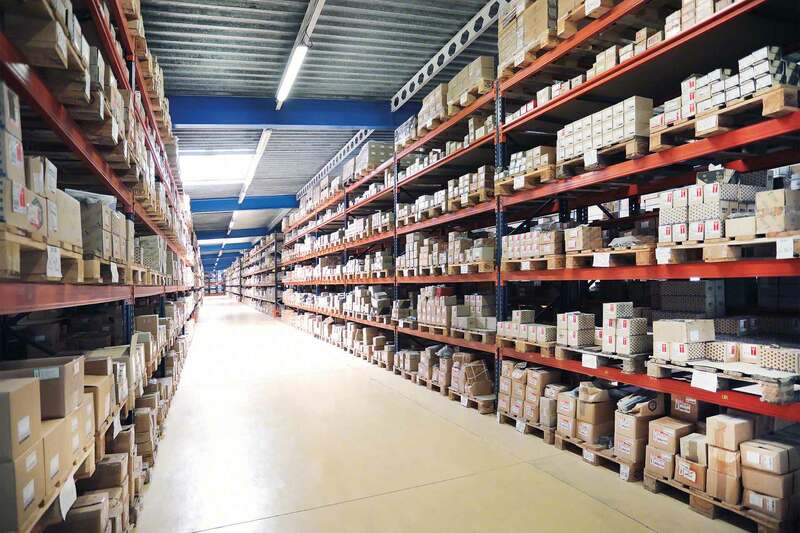 What are the advantages of push-back racking?